is anything we do having an outward form, for some purpose of ourselves. . . . Whenever we do something, we show what we are and also what we want. No person can do anything without expressing himself in some way. The question is how successful the expression is. “Expression,” said Mr. Siegel, “begins with our thoughts to ourselves. That is where we decide on who we are.” As a child in Brooklyn, my thoughts about the world and people were of two very different kinds, arising from two opposing purposes. My desire to like and be affected by the world showed in my early care for words and language. I loved learning to read, and my favorite book was a large, colorful edition of Robert Louis Stevenson’s A Child’s Garden of Verses. When my 4th grade class began learning French, and later, as I studied other languages, I was thrilled seeing how people in different countries expressed themselves. you’re roving around in the clouds that make up yourself; and in this way you’ll get away from all the knocks and sharpnesses and thorns that you had to meet. I wanted to be as different from my parents as I could—including by getting rid of my Brooklyn accent—and from age 9 I worked painstakingly to eradicate any trace of Brooklyn from my speech. It was exhausting!—and it added to my feeling that talking was a burden, not happy self-expression. Aesthetic Realism says the way we use words, both to our­selves and to others, is what our life depends on. Any warfare with words is essentially a warfare with meaning. [But] the triumph of contempt is also its disaster. We find we’re in ourselves and we can’t get out. Do you think one of the reasons you’re interested in language is a criticism of this? We have to be impressed before we can express ourselves. Part of the being impressed is the being stirred. If in the field of thought we have put up so many guards that we can be immune to anything deeply exciting, we’ll never express ourselves. I was deeply immune to what was outside myself. An instance I remember was in late spring, 1970, when I was a sophomore in high school, and the US was engaged in the Vietnam War, one of the ugliest, most brutal things in history. One day, some students came around to every classroom and made an urgent announcement: the President had just sent troops into Cambodia, escalating the war. Outraged by this invasion, they were planning a march across the Brooklyn Bridge in protest. I’d said I was against the war, but the horrors being inflicted by our country on people in Southeast Asia, who were being maimed, napalmed and killed, were utterly unreal to me. And so, instead of joining my classmates and teachers in proudly expressing large, just anger at what the US was doing, I stayed in school, but I loathed myself for being so cold. Though I tried to convince myself the reason I hadn’t been successful in love was the poor judgment of men, who didn’t know a good thing when they met it, I had a suspicion something in me interfered. In an early consultation, when I was asked: “Are you distressed about the men question?” I answered, “Not terribly, but somewhat.” My consultants asked, “Do you think to say you’re really concerned about men gives them too much importance?” Yes. I did feel showing I was affected by a man was humiliating! I began to learn that the reason love didn’t fare so well with me was that I’d made a rift between expressing myself and wanting to be affected by someone outside myself. In an Aesthetic Realism class, when I said several men I knew had been critical of my wanting to be useful to them, while not feeling they could be useful to me, Chairman of Education Ellen Reiss asked: “Do you think if we don’t want people to be useful to us, we can’t wholly want to be useful to them?” I didn’t understand why, and she explained with thrilling logic that to be really useful to a person, we have to want him to have all the meaning he can—including for us. What she was describing is good will, which Mr. Siegel defined as “the desire to have something else stronger and more beautiful, for this desire makes oneself stronger and more beautiful.” I learned that when we love a person, we want the best thing in him to be stronger, more expressed; we want to be a kind critic of the things he dislikes himself for—and we want him to do the same for us. I’m grateful to be engaged in this happy process with my husband Alan Shapiro, jazz pianist and music teacher, as we study Aesthetic Realism together in the great classes taught by Ellen Reiss. That there is a true criterion for love, and that we can learn how to have it, is knowledge every woman deserves! “The question of expression,” Mr. Siegel explained, “has to do with how much we take in and how we take it in.” A woman who, because she was profoundly stirred by what persons in her native land endured, responded with some of the true self-expression of the 20th century, is Mary Benson, who was born in Pretoria, South Africa, and died just over two years ago at the age of 80. Her name, says her obituary in the Johannesburg Sunday Times, “has been synonymous with the struggle against apartheid and, more particularly, with the [African National Congress] ever since she wrote the first history of the organisation in the early 60s.” For 50 years, she fought passionately to end the hideous policy of racial segregation instituted in South Africa in 1948, but unofficial, personal policy in the minds of white persons there for half a century before. Because of her work, including an early biography of Nelson Mandela, the government placed her under house arrest, banning all her books, and ultimately forcing her into exile. We never questioned the ludicrousness, let alone the humiliation to them, of calling these men ‘boys.’ From the time I had learned to write well enough, if the rest of the family was absent, they would come to me: ‘Can I have a night pass, please, nonnie?’ Then I would spell out on a piece of paper: ‘Please pass native Alpheus …,’ with our address, the date and time, and sign my name. This is about the degrading pass laws, which forced all black persons to carry identification passes; caught without them, they could be arrested, fined, imprisoned. Aesthetic Realism explains that all prejudice, including apartheid, arises from contempt, from persons’ feeling they’ll express themselves by looking down on and exerting power over people different from them. 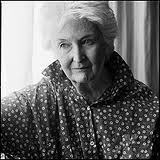 At 19, “determined to escape from a life centred on the Country Club,” Ms. Benson felt she had to leave South Africa. An ardent movie fan, for a time she thought she’d be best expressed as an actress, and headed for London, and then Hollywood, only to return a year later when her attempts failed. I read those words one momentous day in 1948. They still strike at my heart…. Through its revelation of South Africa, the landscape, the people—the black people—[this book] crashed open the mold in which my white consciousness had been formed. The revelations which in Paton’s book had opened heart and mind were now there before my eyes and I tried to catch up on long years of ignorance by reading all the relevant books and articles I could. “What happens to you when you know something?,” asked Mr. Siegel. “Are you expressed more? Of course, because you have more reason to respond, and all expression is a response.” Mary Benson re­sponded powerfully to what she was learning, and her expression became a great source of pride, and of usefulness to many people. Mary Benson says she longed to “combine love. . .with [a large] purpose in life.” The person with whom she got closest to this was Michael Scott. More than with any other man she knew, and she’d had several painful relationships, she had large reason to respect him. “Where principles of justice and humanity were involved,” she writes, “he was totally uncompromising. . . .He had a wide intelligence and probing mind.” She worked, without a salary, as Scott’s secretary and associate for the next seven years. Together, they founded the African Bureau in London, and worked to document and end the terrible injustices to black persons throughout southern Africa. Over the next decade she worked closely with members of the ANC, many of whom—including Nelson Mandela—were on trial for their lives, charged with high treason, and in 1961, she was asked to write a history of the ANC. She eagerly accepted, though meeting with members of an outlawed organization was prohibited, and therefore dangerous. It also involved travel, which was difficult as she had developed crippling rheumatoid arthritis. But she says, “I came to know my country as never before.” In 1963 she testified before the UN Committee on Apartheid, describing the hideous injustice with which native Africans were treated, the courage of many people fighting it, and the “fantastic wave of prosperity” for American and British investors who reaped huge profits from the earth and labor of South Africa. Two years later, she was placed under house arrest. She could hardly leave her home, could no longer write anything—even a personal diary—couldn’t have visitors or speak with more than one person at a time. After much thought, she decided to leave South Africa for London, so that she could continue to have persons throughout the world know about and oppose apartheid. Her tiny apartment became an unofficial refuge for exiled South Africans. I was moved to learn that when Nelson Mandela was in London just three weeks before Ms. Benson’s death, he interrupted his official duties to visit her. True self-expression, Mr. Siegel said, “is useful to yourself and everybody else.” To a very large degree, Mary Benson had this, and I’m sure she would want her life to be useful in having women understand themselves. I see Aesthetic Realism itself, the magnificent result of the way Eli Siegel was affected by and used his mind on all reality, as the greatest achievement of expression in the history of human thought. Studying it can have every person, on every continent, feel truly expressed, complete, proud.